Systematic Theology; what does that bring into your mind? Perhaps you think that it’s too complicated for you, or that it’s too dull, or perhaps you don’t really know what it is about. For me Systematic Theology is about piety. The point of studying anything is not merely to gain knowledge about it; no, it must be in order to use it to the glory of God. The aim of Systematic Theology, therefore, is to become pious. What is piety? Often people speak of a pious person as if it’s a bad thing. But piety is devotion and reverence for God, it’s putting Him first in all of our decisions in life, it’s hating sin and pursuing righteousness, it’s delighting in the things of God, loving His people, and caring about the lost. In short, piety is being like our Saviour Jesus Christ. As I teach this class, my concern is not that the students will gain in their knowledge about God, but rather that will become more pious. In order to do this, I must first take the log out of my own eye before trying to extract specks from the eyes of others. And when you think about it, that’s what makes studying Systematic Theology harder. It’s easy to learn facts about God; you could easily pick up a book and learn that. It’s harder to learn piety. We like learning in the abstract, but we are defensive when it demands changes in our lives. But that’s what makes the class dynamic, instead of a drudgery. Is it worth it? Absolutely! We are doing exactly what David says in Psalm 27. He desired to be in the house of God, beholding and admiring God’s beauty. Systematic theology is about seeking God’s face. Why do you keep having all those young Americans over? It’s a question I have been asked a few times, down through the years, by fellow ministers in a sister denomination. The answer is simple – ‘Opportunity’. Semester in Scotland is an opportunity I would love to have experienced when I was at university. It’s an opportunity to visit another country and slightly different culture. 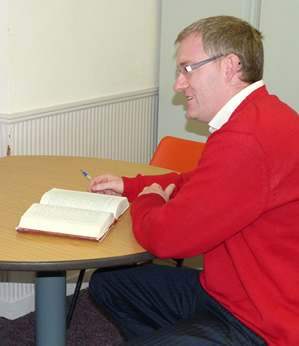 An opportunity to be given structured time to read the Bible and good books. An opportunity, because of the size of the class, to learn in a seminar environment where questions are encouraged, discussion is relevant, and there is no pressure to ‘cram’ to pass a test. An opportunity to learn first hand about the history of Christ’s Church in a different land. An opportunity to be part of and serve in another part of the body of Christ. An opportunity to continue to grow and develop, building on the foundation that had already been laid in life by family, friends, church, and college life. Semester in Scotland is all about opportunity. That’s what I share with the students as soon as they arrive and many of them get it. A fact borne out by the testimonies of those who have taken the program. So if you’re looking for an opportunity to grow and mature as a person and experience the opportunities cited above, then come and take the Semester in Scotland program, you will not regret it! 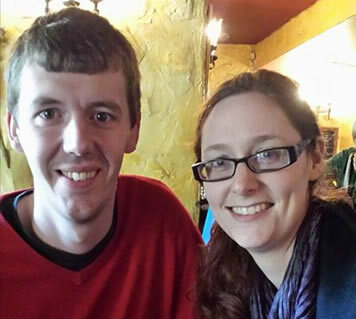 My name is Jimmy Fisher, and I teach Scottish Reformation and Covenanter history for Semester in Scotland. In my class we begin by learning a little bit about how Christianity came to Scotland and the early Christians here. Then we go on to discuss how God worked in Scotland during the First Reformation between 1528-1560. We learn about the key players and events during those times and discuss how they impact Scotland today. Names like Hamilton, Wishart, Knox, and Melville are all discussed. Following that we move onto the Second Reformation from 1638-1688. This is the time of the Covenanters, a time when many throughout Scotland were persecuted for their faith. We learn about the likes of Henderson, Cameron, Cargill, and Renwick. Men who stood against tyranny to proclaim the Kingship of Christ. Again we discuss their lives, events, and deaths. All of this classroom work is of course an important element, but it also sets a good background for the week long tour that the students take with us. During that week, they get to visit the locations where many of these events happened. From the place where the first martyr for the Reformation, 24 year old Patrick Hamilton, was burnt at the stake to the battlefields of the Covenanters at Bothwell Bridge, Airds Moss, and Drumclog. This is the week when history really comes alive. From crossing over windy moors to visit lonely martyr graves, to standing in mighty castles and grand cathedrals and churches where the likes of John Knox and Alexander Henderson preached. This is an experience that can be life changing. The people, places, and events that we read and discuss in the classroom spring to life as we stand where the martyrs stood, and where they gathered in the open fields for worship, often at risk of their lives. As the tour guide for Scottish Reformation Tours, we can take the students to remote locations that many do not know even exist. 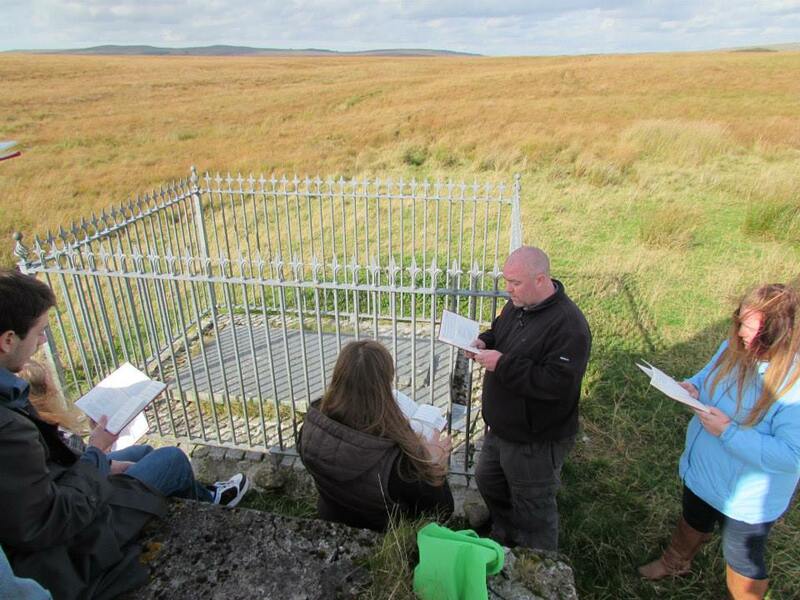 Jimmy and Helen with some of last semester’s students singing at Airds Moss. 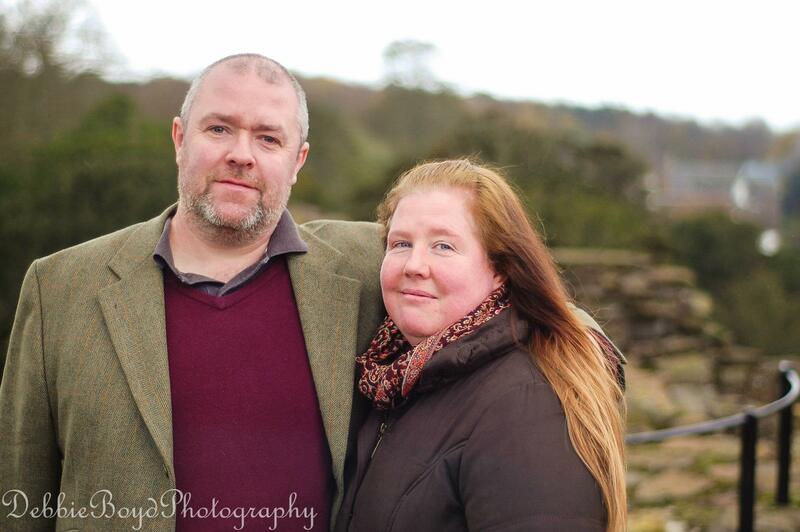 As well as the Reformation and Covenanter tour, my wife Helen and I also take the students on a cultural outing every Wednesday afternoon. The places we visit on these trips vary greatly, like museums and art galleries, well known tourist locations like Edinburgh and Stirling castles, trips to the stunning Scottish Highlands where they can walk along the bonny, bonny banks of Loch Lomond or go a bit further north to see the majestic mountains of Glencoe. We also throw in some castles, battlefields like Bannockburn, and many other places of interest too. All of these places hopefully leave memories of Scotland that the students will remember long after they have returned home. Today is the beginning of my second week of studies, and my eleventh day since arriving in the “Land of Knox” and already my dreams of Scotland have been superseded by an even greater reality. The land is far more beautiful than I could have imagined and the people possess a rare degree of kindness – especially to two foreigners such as we are. I have already been to Glasgow, stood inside its High Church where once the venerable Reformer and Covenanter, Alexander Henderson, presided as moderator of the first free General Assembly of the Church of Scotland since the time of Knox. 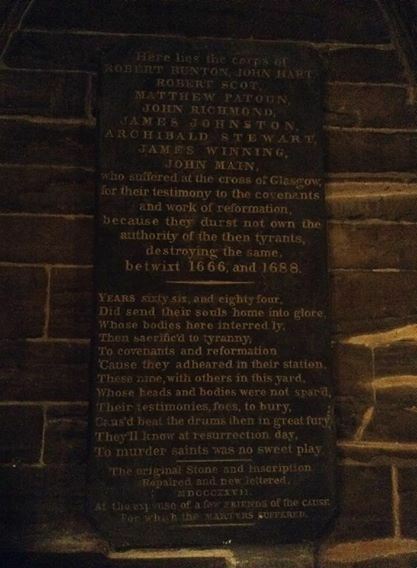 I gazed upon the original painting of the martyrdom of John Brown of Priesthill, and stood motionless and with the utmost sobriety and shock as I read the grave plaque of five martyred Covenanters, buried only yards away from me. My mind has never been so actively concerned with the work of Reformation as it is now, and gazing upon the very real and very good reminders of what sufferings the Church has underwent for “Christ’s Crown and Covenant” has left me longing, more than ever, to see the banner raised once again over this, and every other land of forgetfulness. Past grace, however, does not make a present reality. The Gospel is barely spoken here, and already it is apparent that this land may be well under the impression that they are in a “Post-Christian world” where the riches of the Gospel are esteemed as antiquated coinage and of no real value, save only for historical inquiry. Knox may be known – and his monument at the Necropolis in Glasgow is the largest on the whole hill, overlooking the city like the shepherd it is made in likeness of – but His Christ is not. Those who are laboring here, with whom I have the delight and privilege to know, have a Gospel-fever that dwarfs my own and one much like their martyred predecessors. The challenges they face in Christian ministry are met with rare graces, and a true love to God, which prompts them to look at the land as being exceedingly “ripe for the harvest”. This is not the Scotland of the Covenanted Reformation anymore, but the Gospel is still preached by a remnant, and that remnant is tirelessly employed in the work. I am learning as well. Learning theology, history, and piety in the same part of the world where the fields once ran crimson with martyr blood is a phenomenon I truly did not expect to have. Men and women, cities, buildings, and fields that I had read and dreamed about have come to life. It, I imagine, is much like what a devout Tolkien fan would experience if ever he was invited to explore the shire, the city of Rivendell, and the stone fortress at Helm’s Deep. My fantasy world has come to life. I can stand and see what Cargill saw, look upon the Grassmarket, and wander the hills that were once killing fields for those who would rather die than forsake Christ, and deny His crown rights and royal prerogatives. Grave plaque for Covenanter martyrs, Robert Scott, Matthew Patoun, James Johnston, Archibald Stewart, James Winning, and John Maine. All of which are interred near the Glasgow Cathedral. The plaque is more recent, and found beneath the nave of the Cathedral. 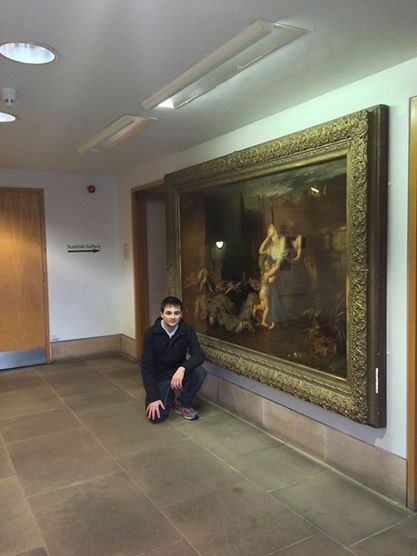 Myself (looking rather thoughtful and solemn..and pale) beside the original painting of the martyrdom of Covenanter John Brown of Priesthill, near the Glasgow Cathedral. 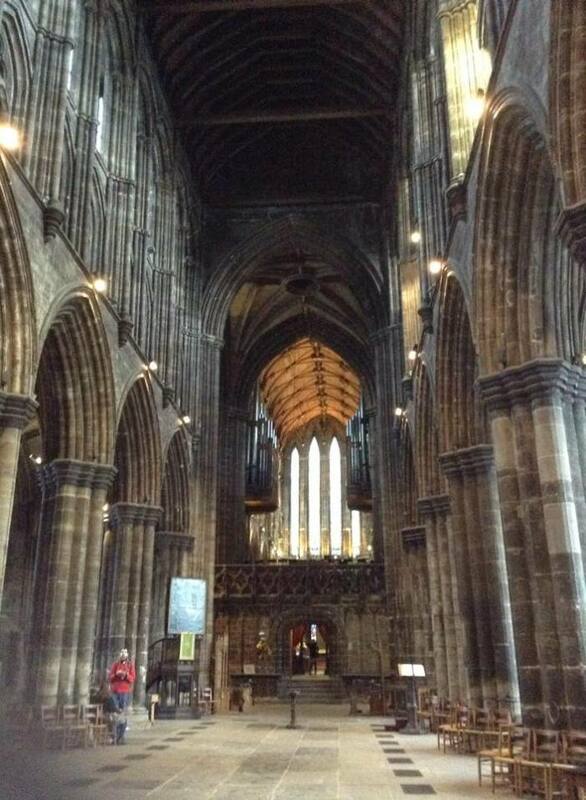 The nave at Glasgow Cathedral. At this spot the first free General Assembly since the time of Knox, took place with Alexander Henderson as moderator.